The numbers for 2014 are out and several Colorado craft breweries made the list in the Top 50 Breweries of 2014 (by beer sales volume). Congrats to New Belgium Brewing Co, Oskar Blues, Odell Brewing, Left Hand Brewing and Breckenridge Brewery for making the list. 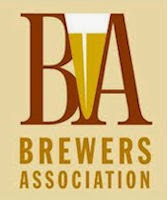 The following press release was issued by the Brewers Association earlier this week. 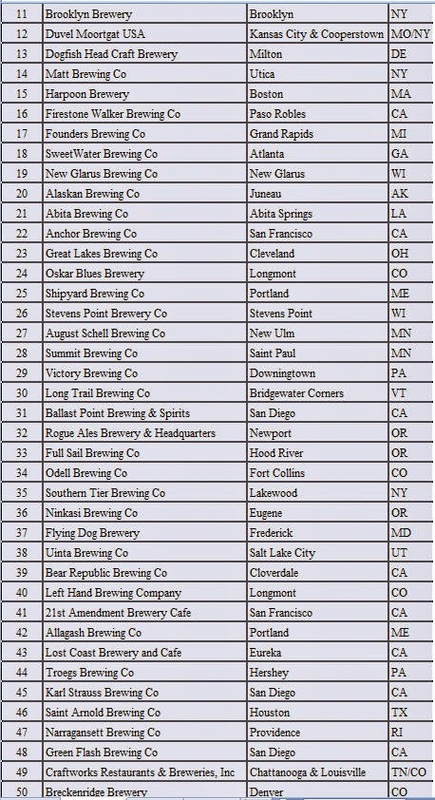 [PRESS RELEASE] Boulder, CO •March 31, 2015 — The Brewers Association (BA)—the not-for-profit trade group representing small and independent craft brewers—today released its annual lists of the top 50 craft and overall brewing companies in the U.S., based on beer sales volume. 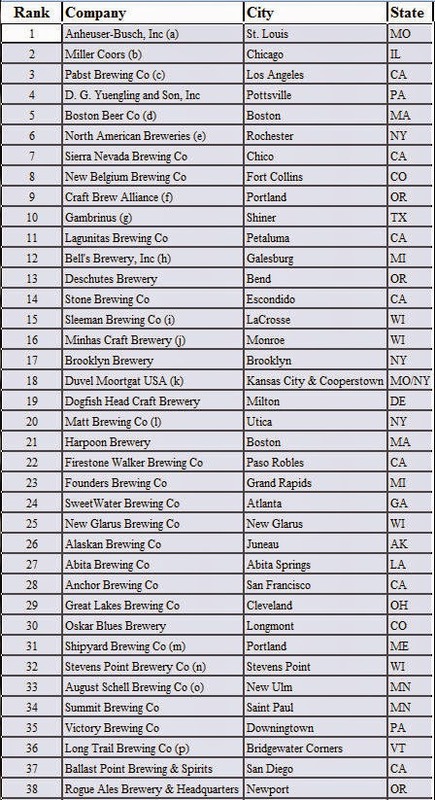 Of the top 50 overall brewing companies, 42 were craft brewing companies¹. The Association's full 2014 industry analysis, which shows regional trends and sales by individual breweries, will be published in the May/June issue of The New Brewer, available in May 2015. For additional statistics, see the Brewers Association’s craft brewing statistics for 2014. 2 Top 50 U.S. Overall Brewing Companies notes: (a) includes Bass, Beck’s, Blue Point, Bud Light, Budweiser, Busch, Goose Island, Landshark, Michelob, Rolling Rock, Shock Top and Wild Series brands. 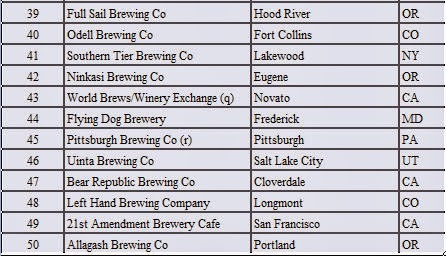 Does not include partially owned Coastal, Craft Brew Alliance, Fordham, Kona, Old Dominion, Omission, Red Hook and Widmer Brothers brands; (b) includes A.C. Golden, Batch 19, Blue Moon, Colorado Native, Coors, Keystone, Killian’s, Leinenkugel’s, Miller and Tenth & Blake brands; (c) includes Pabst, Schlitz and 28+ other brand families; (d) includes Alchemy & Science and Sam Adams brands. 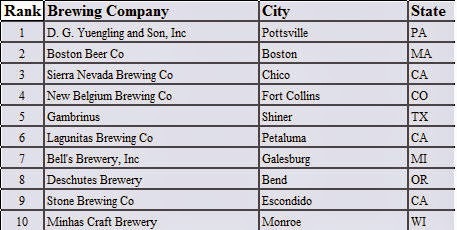 Does not include Twisted Tea or Angry Orchard brands; (e) includes Dundee, Genesee, Labatt Lime, Magic Hat and Pyramid brands; (f) includes Kona, Omission, Red Hook and Widmer Brothers brands; (g) includes BridgePort, Shiner and Trumer brands; (h) includes Bell’s and Upper Hand brands; (i) includes Sleeman and Sapporo brands; (j) includes Mountain Crest and 10 other brand families; (k) includes Boulevard and Ommegang brands; (l) includes Flying Bison, Saranac and Utica Club brands; (m) includes Casco Bay, Sea Dog and Shipyard brands; (n) includes James Page, Point and Whole Hog brands; (o) includes Grain Belt and Schell’s brands; (p) includes Long Trail, Otter Creek, The Shed and Wolaver’s brands; (q) private label brands, primarily for grocery store chains; (r) includes Iron City and 17 other brand families.